TNEB AE Old Question Papers PDF, TANGEDCO has issued a recruitment notification few days months ago. Candidates who are applied for Assistant Engineer posts they have to download Admit Cards for the written exam, the AE exam will be conducted on 31/01/2016. Candidates who are preparing for TANGEDCO AE jobs they must and should check previous question papers, model papers, sample papers, of Electrical Engineer, Mechanical Engineer and Civil Engineer for best score in the written test. Below is info about previous question papers/ sample papers and question papers pattern 2018. The Selection Process of TNEB AE based on scoring good marks in the exam, so aspirants need to download old question papers of TNEB AE to get a good awareness on the exam and get the top score. 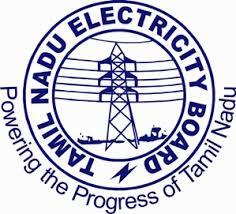 below you can download old question papers of TNEB.